British team CyclePremier.com-Metaltek faces the new season with several talented new riders and heightened ambitions for the domestic scene. “We want to step up our game and make sure we’re a little bit more active,” said manager Rod Freeman. Top of their list of winter buys is Irishman Stephen Gallagher, who joins from Sigma Sport. The experienced Irishman won the Ras in 2008 and will be their “main man” for the Premier Calendar, according to Freeman. The squad is also bolstered by the additions of Ross Creber, Tom Barras and Welsh champion Dale Appleby. 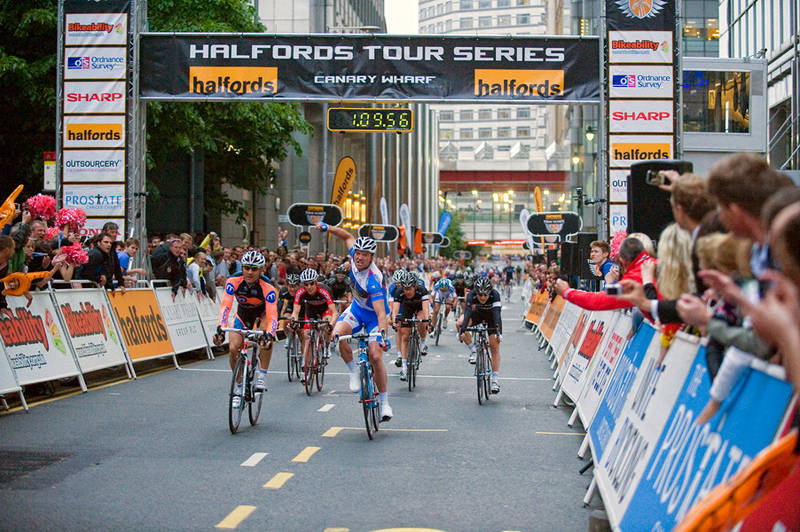 Tony Gibb remains to lead the criterium side of things, as the Tour Series remains an important goal for the Leicestershire-based outfit. “I’d like to think that we can win individual rounds – more than one. If you can do that, you’re heading into a better position overall. Fourth or fifth would be good this year,” Freeman said. Last year, the squad finished seventh in the Tour Series. Their season highlight was an opening-round individual win for Tony Gibb at Canary Wharf. CyclePremier.com-Metaltek’s first race together is scheduled to be the Eddie Soens Memorial on March 5. CyclePremier.com-Metaltek 2011 line-up: Dale Appleby, Tom Barras, Ross Creber, Ashley Finn, Tony Gibb, Stephen Gallagher, Richard Hepworth, Matt Rowe, Robert Smail, Jason White and Simon Wilson. Saturday night will see the Red Bull Hill Chasers event in Bristol. Sixteen local cyclists will pit themselves against the same number of professionals to record the fastest time up the city’s formidable Park Street hill. The event is planned for 7pm and sees a number of recognisable riders, including viral internet sensation Danny MacAskill and national BikeTrial champion Chris Akrigg. The winner will walk away with a gold bike frame. New Garmin-Cervelo recruit Lucy Martin enjoyed the team’s recent training camp in Calpe. ”It was good meeting all the girls for the first time,” she said. Martin is the fourth British rider on the team, which also includes Emma Pooley, Sharon Laws and Lizzie Armitstead. “This season, I’ll be helping a lot in sprints, being the last leadout woman for Lizzie, and I’ll get more of an opportunity for myself in smaller races. Just generally, it’s going to be about learning and developing,” the former 100% ME rider said. “I really want to do well in the April Classics like Flanders; there’s a World Cup race in Spain in July as well as the Sweden World Cup too,” she added. Organisers of the Iron Mountain and the Tour of the Black Mountains Sportives have announced that they will this year combine their events to create the weekend-long Abergavenny Festival of Cycling. This new sportive event will fall from Friday July 8 until Monday July 11. It opens with the Wales Open Criterium around Abergavenny on the Friday evening. Saturday will be Iron Mountain race day, and Sunday will be for the Tour of the Black Mountains. For each of the two sportives there will be three routes, allowing participants to enter at an appropriate level. The Wales Open Criterium will provide a high-profile start, giving spectators the chance to see some of Britain’s most accomplished riders. The sportive events will be in breathtaking surroundings and along roads that are legendary for UK cyclists – some of the routes featured in the 2009 British Road Race Championships. The charity IAM announced on 17 January that it is launching a new membership initiative for cyclists. The scheme is aimed at improving safety for cyclists by educating them on better ways to ride. IAM, which stands for the Institute of Advanced Motorists, is a national road safety charity. It is best known for its advanced motoring programmes for car, motorbike and HGV drivers, which teach drivers techniques to improve the safety of their driving. The charity is expanding this service with IAM Cycling. It hopes to recruit members who, in exchange for a small membership fee, get a copy of How to be a better Cyclist and support in the case of a cycling accident. There’s a new addition to the British road-racing scene. Rutrainingtoday.co.uk have recently announced the launch of their new team. The team’s main title sponsor will be cycling clothing manufacturer Primal Europe. The team, based in Devon, officially launched in Plymouth on Sunday. Its riders will wear distinctive black and white jerseys and will ride Trek Madone bikes. The team will be made up of six riders in the men’s team and five in the women’s. They will include Emm Whittlesea, the reigning South West Road Series Champion, Ali Holland, the current National Masters champion and, Martin Smith, the 2008 National Masters road champion. Rutrainingtoday.co.uk is a cycling website and online shop specialising for cyclists in the South West. Bike Chain Ricci is a cycling retail outlet and hire company. Channel 4 is recruiting for a new TV show that may be of interest to cyclists. The series is called Hidden Talent. It aims to uncover talents that people didn’t know they had. Individuals are invited to put themselves forward. If the series’ team of experts discovers any unknown abilities, they will then have the option to have their lives changed forever by taking part in the show.